Detroit Lions quarterback Matthew Stafford has won the “Comeback Player of the Year” award at the ESPYS. During his speech Wednesday night at the event in Los Angeles, he gave a big shout out to the city. 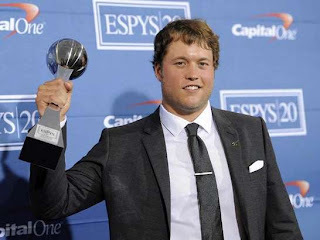 The ESPYS are awards presented by ESPN to recognize athletic and other sports-related achievements.